Hello, blog readers! * This post is coming to you from the other side of the country. I have officially made the transition from Buffalo, New York to Seattle, Washington. Because I have a weird unique and incredibly loving family, I did not make the move alone. My mom, two sisters, and I turned it into two-week, cross-country (semi-Oregon Trail-themed) road trip. Huge props to my dad for valiantly staying home to hold down the fort while we were gone. My mom, sisters, and I at the Pacific Ocean for the first time. I’m on the right. Trip highlights include visiting my friends Mackenzie and Patty, Taste of Chicago, climbing up a 102-foot “Hermann the German” monument, and seeing a buffalo walk down the middle of the road. Things have settled down in the past few days. I moved into my first apartment (which I’ll actually be moving out of at the end of the month), started putting out my job applications. And my family left. I’ve spent my free time exploring the area, shamelessly using coffee shops for their WiFi (this apartment has no Internet), and going for runs. Oh yes, I also sat on the foot of a 60-foot-tall Jolly Green Giant. This is not a wallowing, moping post. I just want to acknowledge that for every awesome opportunity and exciting event here, there are things (and people) that I’ll miss back home. So I thought I’d share a few of my favorite books for times when there my life’s own setting changes. Whether you’re leaving for a new school or job, studying abroad, or just moving, these books help ease the transition. 1) Anne of the Island by L. M. Montgomery – Hold on a second, you might say. Weren’t those books written way back at the beginning of the twentieth century? *** Aren’t the Anne of Green Gables books just heartwarming stories about an imaginative orphan? Anne of the Island departs strongly from what most people would probably expect from a woman writer of the early 20th century. 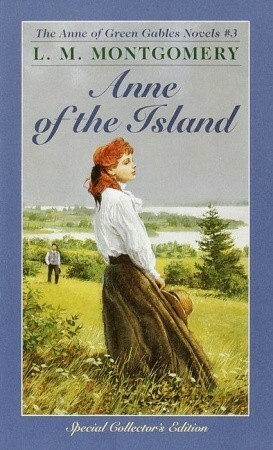 For instance, in Anne of the Island, Anne Shirley leaves her beloved home in Avonlea to obtain her B.A. from Redmond College. She moves somewhere totally new, deals with financial burdens, and makes housing plans with friends. It’s the quintessential college story, an era of life sadly overlooked in literature. 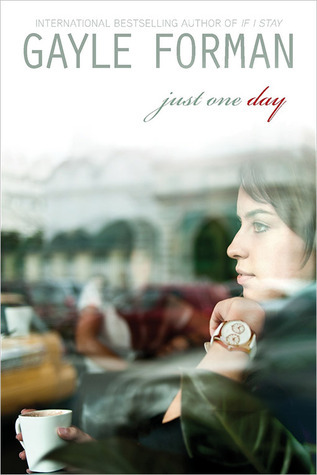 2) Just One Day by Gayle Forman – Let’s skip ahead to a book published nearly a hundred years later. This book was released this past January, but I didn’t read it until June. Honestly, I hadn’t thought I would like it. The premise of the book is that Allyson Healy goes on a trip abroad a few weeks before she starts college. While in London, she meets actor Willem and spends a day with him in Paris. She wakes up to find him gone. She returns home, starts college, and tries to forget about him. Unable to, she eventually struggles to track him down. Here’s the thing – the summary makes it sound like the novel is about Willem, but it’s not. It’s more about Allyson spending her first year of college trying to figure out who she is and who she is going to be: the reliable Allyson she was throughout high school; the daring “Lulu” she was with Willem; or someone else entirely? This is another novel that covers the college transition – living away from home for the first time. Making new friendships and reevaluating old ones. All I’ll say is that this is one of those Don’t-Judge-A-Book-By-Its-Cover books. 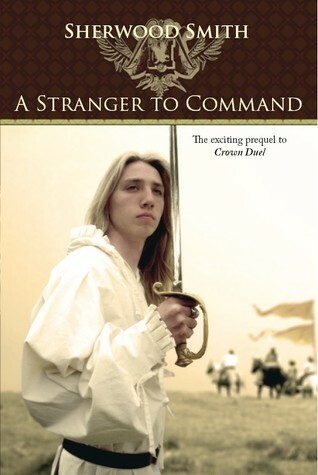 3) A Stranger to Command by Sherwood Smith – Let’s try some fantasy. Fifteen-year-old Vidanric, born into a noble family, lives in a small country where the tyrannical King Galdran rules. To both keep their son out of danger and help prepare him for the future, Vidanric’s parents send him away to a foreign academy in the militaristic country of Marloven Hess. While there, Vidanric struggles to learn weaponry, command, politics, and how to understand a culture starkly different from his own. This was one of my favorites while I was in Turkey. It addresses adjusting to and partaking in foreign customs. And let’s face it, I love books that include any sort of specialized training, such as the skills Vidanric has to learn. This is a great book for those who enjoy vicariously learning how to be a warrior. While I would love to keep writing about my favorite books, I think I’ll stop with those three. After all, I’m in Seattle! My new home for the next two years. Some protagonist I would be if I spent all my time reading and writing instead of adventuring and learning to ride a horse the bus. *I really should have a cooler nickname for my readers than “blog readers”… Hmm… BookEnders? That sounds strangely menacing. I like it. Other suggestions? **I suppose I should mention that she is, in fact, nineteen-years-old and only occasionally sacrifices her dignity to let me tickle her chin. ***You might not actually say that, people who aren’t as excessively into L.M. Montgomery might instead think of it as just generally “way super long ago” or something to that effect.